Click here for more grilling safety tips in a printable PDF. The grill should be placed well away from the home, deck, railings and out from under eaves and overhanging branches. 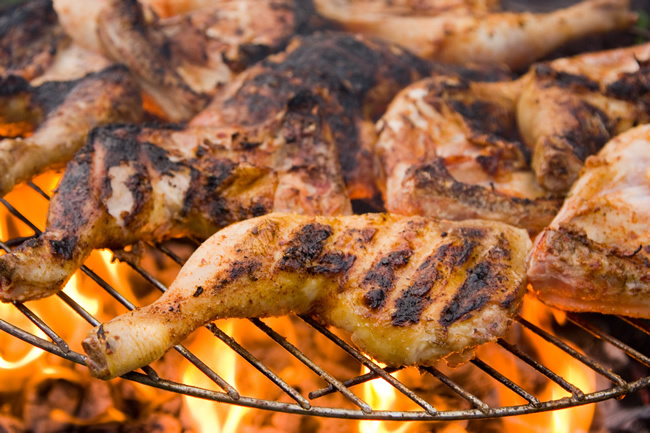 Gas and charcoal grills should be a minimum of 10′ away from buildings. Never use gas or charcoal grills on balconies or under combustible awnings. Check the gas tank hose for leaks before using it for the first time each year. Apply a light soap and water solution to the hose. A propane leak will release bubbles. If your grill has a gas leak, by smell or the soapy bubble test, and there is no flame, turn off the gas tank and grill. If the leak stops, get the grill serviced by a professional before using it again. If the leak does not stop, call the fire department. If you smell gas while cooking, immediately get away from the grill and call the fire department. Do not move the grill. If the flame goes out, turn the grill and gas off and wait at least 15 minutes before re-lighting it. 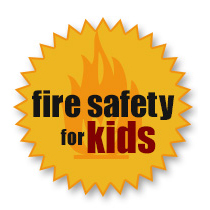 Learn more about grilling safety from the National Fire Protection Association.